I love Colorado Springs and I love a lot of the restaurants here. But I also love never leaving my couch. While I like to let Instagram show a fun, glamorous life out on the town, I spend a lot of weekends drinking wine and watching the Hallmark Channel. Nothing like movies that set unrealistic expectations of love to make you feel REALLY good about life, am I right? When I am staying in, whether I’m hanging by myself or actually invited friends to stop by, there are a lot of Colorado branded food and drinks that I use regularly. They taste great and make me feel better about my grocery store purchases – it feels good to support a Colorado company. 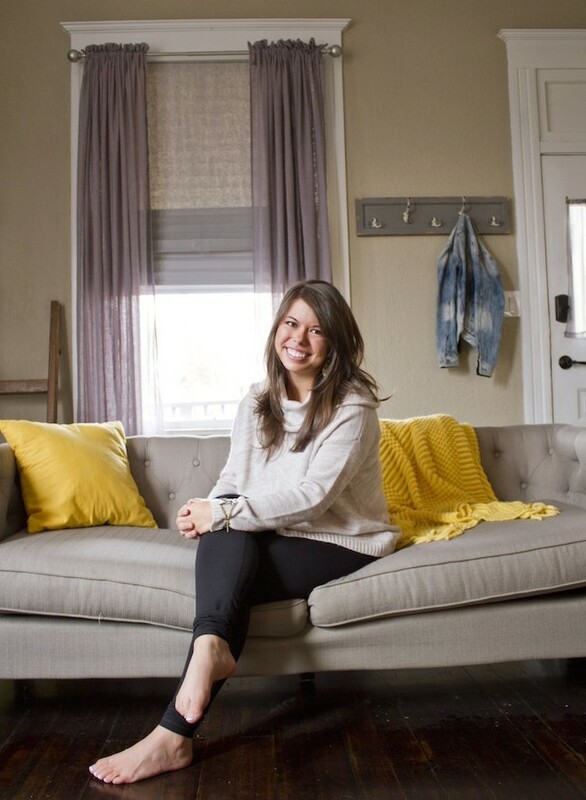 One of my favorite ways to catch up with my girls is to have everyone over for Sunday brunch. A strange amount of my friends are fitness instructors (retox to detox is our jam), so we’re always sweaty messes from teaching, and sometimes it’s better to not force others to smell our dried sweat at breakfast. 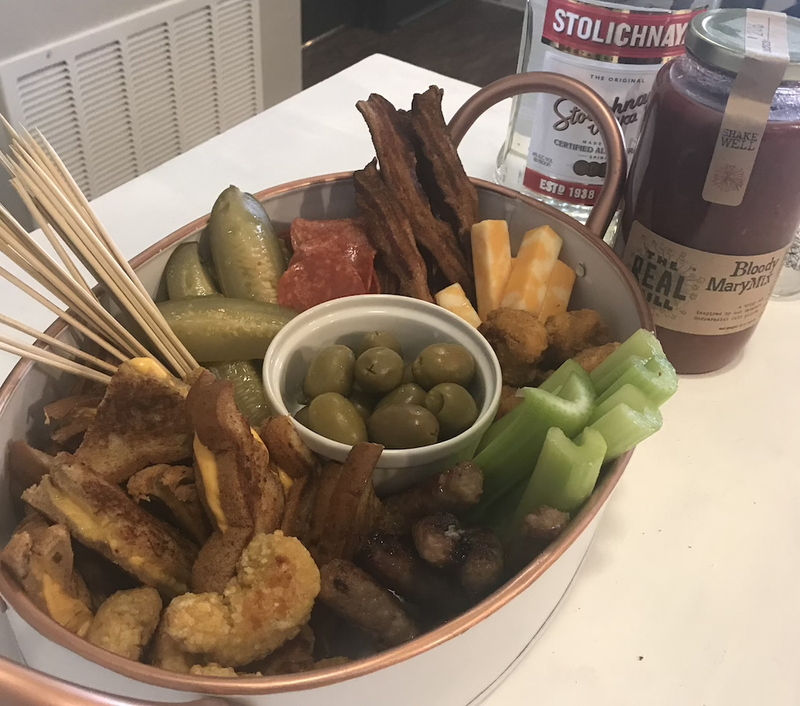 I’m an overachiever and I love putting together a super crazy Build Your Own Bloody Mary Bar. We’re talking sausage, bacon, chicken wings, a variety of pickles and olives – even mini grilled cheese sandwiches! The best way to improve your at home Bloody Mary though? 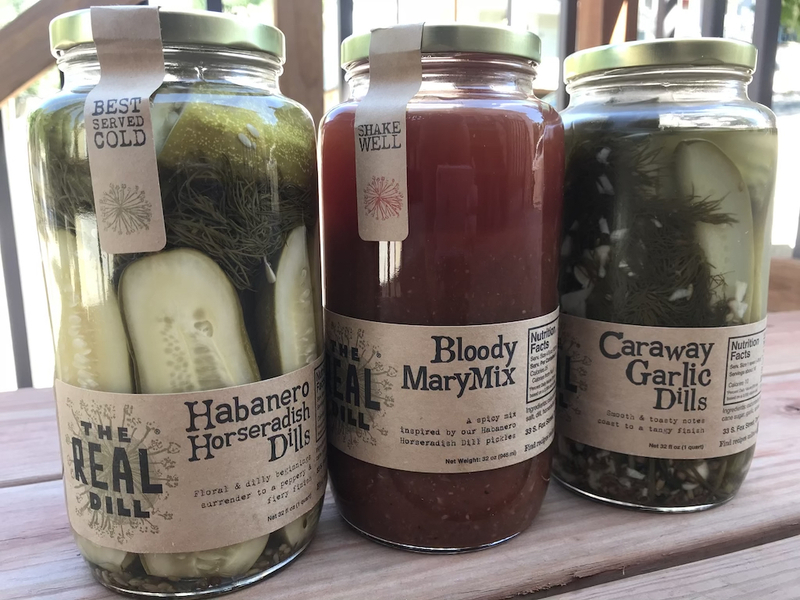 Using The Real Dill Bloody Mary Mix. This Colorado-made mix is made in Denver and it truly is the best there is. They also make amazing pickles – my favorite are the Jalapeno Honey Dills – and get this, every pickle is hand cut. It’s pretty cool. 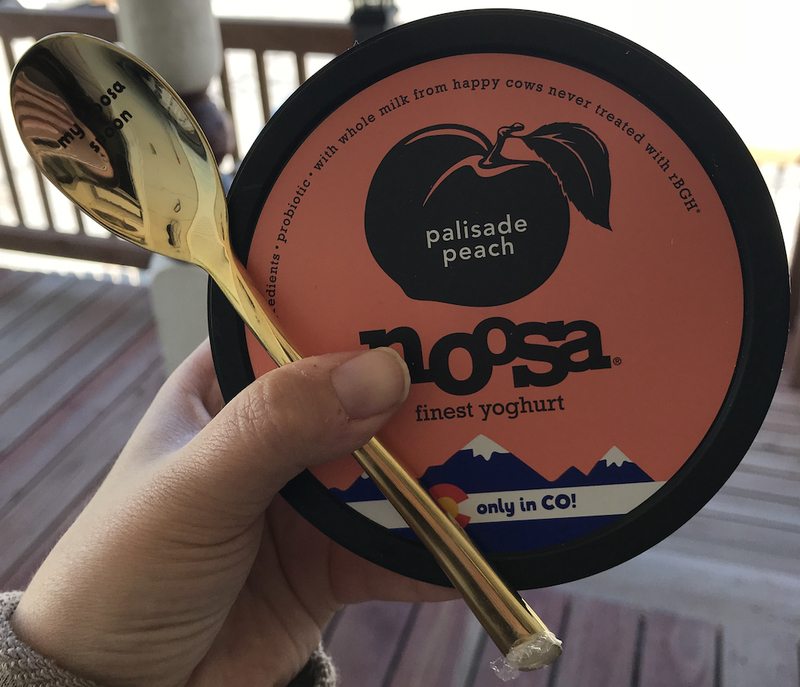 Noosa Yoghurt is another absolute favorite on my list of Colorado-made snacks. To be fair, I eat it as dessert because it’s so rich, but it’s healthy because it’s yogurt right? My favorite flavors have always been Blood Orange and Blueberry, but I recently tried out the Vanilla Bean and it’s a game changer. If you want to eat ice cream for breakfast, this is a great alternative that probably won’t make your co-workers give you strange looks. I did get an amazing opportunity to check out the Noosa farm last April, and I think it’s so important to mention the number of employees Noosa has, the effort the company puts into recycling and reducing waste, and the way the entire company really does what it can to be a positive role model in terms of treatment of employees and creating a high quality product. Also, I got to meet a bunch of cows while I was there and I’m not sure I’ve ever been happier, so here’s a selfie I took with one of them. 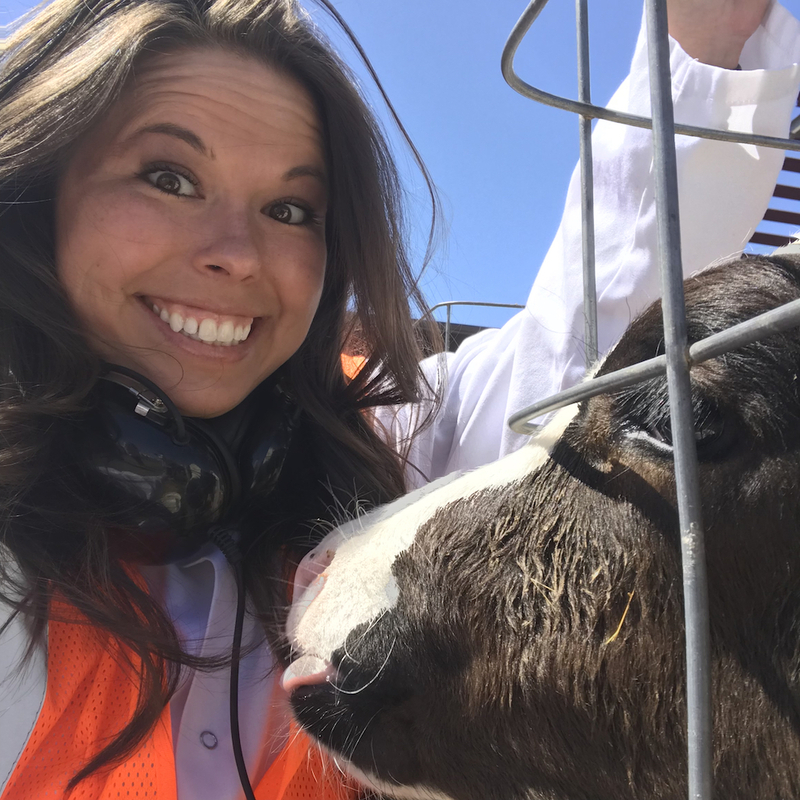 Clearly I was the starstruck fan in this picture, and the cow is the celebrity. As stated previously, I live a glam life. Me and my cow friend at the Noosa Farm! This company is probably one of the best kept candy secrets there is, and it shouldn’t be. Their name is Little Secrets and if they ever go out of business because they stayed a secret, I’ll start a riot. The Peanut Butter Dark Chocolate Pieces are actually heaven. Think of the best peanut butter candy you’ve ever ate. Do you have it clear in your mind? IT’S TRASH. Don’t waste your calories on any other candy. Just go buy a bag of Little Secrets and live your best life. While there are plenty of really great distilleries in Colorado Springs, I go to their tasting rooms when I go out, so at home I like to have a variety of Colorado liquors that aren’t necessary made here. My favorite? 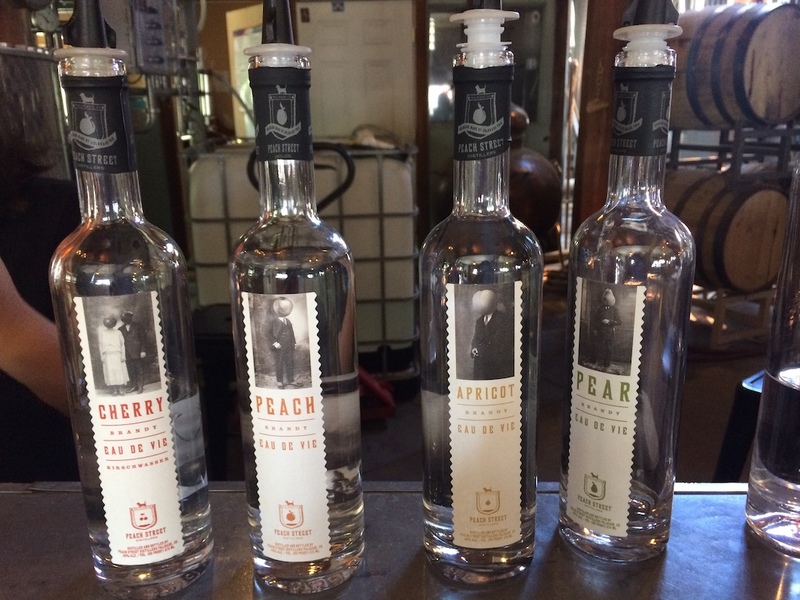 Peach Street Distillers out of Palisade. 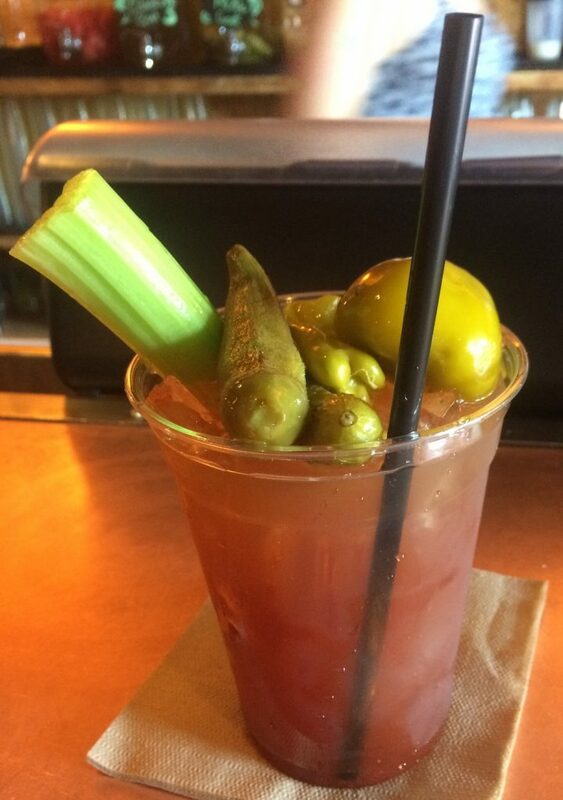 I went to Palisade for a bachelorette party a few years ago, and I had the best Bloody Mary of my life there. I mean I was sipping them all NIGHT because they were that good. What made them so good, and all of the drinks there so good in general, was the way the distillery infused the tasting room vodkas. 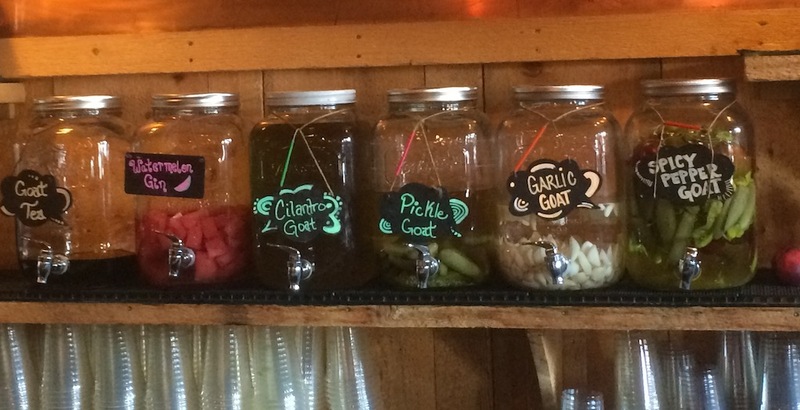 I loved the GOAT Artisan Vodka that was infused with spicy peppers and pickles, but honestly the liquor is just so good that it’s great on its own, too. The Jackelope gin is easy to sip, and I couldn’t get enough of the Cherry Brandy Eau De Vie. It’s easy to grab the most popular brand or the cheapest product when you’re getting what you need for a night in, but sometimes it’s worth the extra pennies or dollars to buy local. When you buy a Colorado product, you’re contributing to the local economy and the jobs of people who are right here in Colorado. While I could list a dozen more local brands, these are just a few that I love and buy regularly. What’s your favorite Colorado product? Tell me in the comments below! I loved this list so much! Can’t wait to go hunting at my grocery store to find all of these gems! Would love to hear the rest of your list!! Thank you! I’ll get to work on posting some of my favorite local summer BBQ items probably in May so be on the lookout for that. SOOOO many Colorado options that are actually way better than a lot of the mainstream ones.